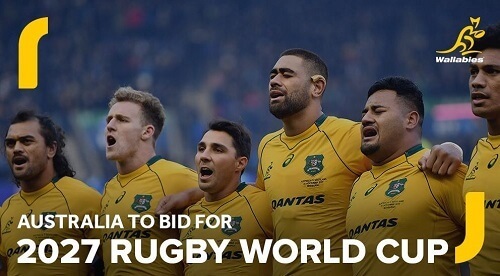 In recent news, Australia is looking to bid not only for the 2027 Rugby World Cup but also the women’s variant, for the very first time in 2021. One day after Raelene Castle took on her role as Rugby Australia’s new Chief Executive, it was confirmed the dual bids. Additionally, there is a brand-new women’s national competition that will start off in 2018. Australia is no stranger to hosting the men’s World Cup. They did so in both 1987 as well as 2003. However, they have never hosted a women’s tournament which has been in effect since 1991. More so, the women’s tournament is yet to be held in the Southern hemisphere. Rugby Australia’s Chairman, Cameron Clyde, states that the popularity of Women’s World Cup is increasing at a rapid rate. This after a great turn out in Ireland this year. He goes on to say that they are unwaveringly confident that they will be able to provide an unparalleled experience when hosting the 2021 tournament. The Wallaroos, the women’s rugby team for Australia, managed to finish in sixth place at the tournament held this year. More so, the attendance for the game was at a record-breaking high. The television viewership for the tournament also went off the charts. It was also announced by Rugby Australia that in March of 2018 a domestic Super W competition of the women’s XV rugby would be run over six weeks. Further, the competition would take place between ACT, NSW, Queensland Victoria and Western Australia. We at Pokies.com feel that the entrance of the Women’s Rugby tournament in 2021 is an exciting prospect for the country. Additionally, it would be an honour to once again host a World Cup in 2027. We are sure that our sports betting fans will be thrilled to get ready to place their bets on their favourites and win big with some of the best online casinos that we recommend.